Both bathrooms fully remodeled 10/3/2018 with new tub, designer tile showers, vanities, faucets and fixtures. 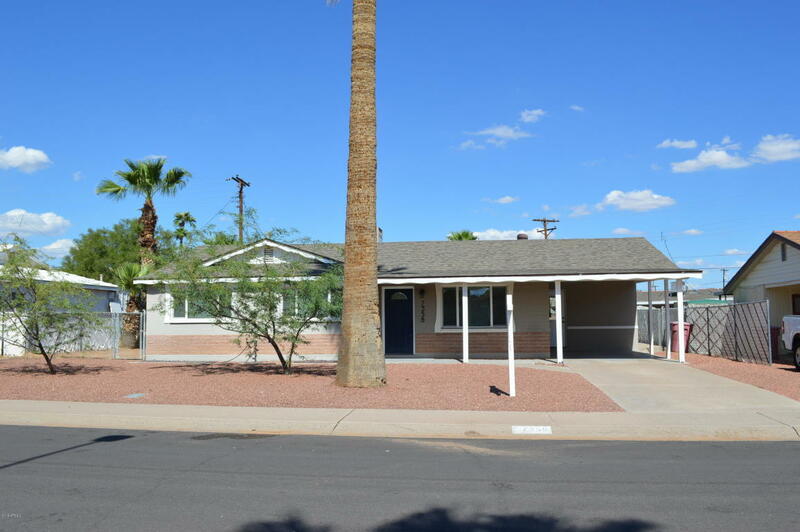 Huge lot with north south exposure make this a great south Scottsdale buy. Beautiful remodeled open floor plan kitchen complete with a huge island! The Gourmet kitchen is the centerpiece of the family room and living rooms open concept layout. Stainless steel appliances and granite counters are accented by designer tile back splash and plenty of custom cabinets with 42'' uppers. Two generously sized spare bedrooms and guest bathroom complete with a shower/ tub combo. The master bedroom includes a new onsuite with walk-in shower. Dual pane windows with new 2 inch blinds, architectural shingle roof and updated electrical panel. Huge back yard and sparkling pool. Also for sale.